Womb cancer is the fourth most common cancer in women in the UK but very few women recognise the symptoms, according to a cancer charity. Faith Caton, 35, was diagnosed by accident when she and her husband were trying for a baby. “Cancer was never mentioned – only on the day my tumour was found,” she says. The Eve Appeal says womb cancer is very treatable if caught early and that the most common sign is abnormal bleeding. About 9,000 women are diagnosed with womb cancer each year in the UK, making it the most common gynaecological cancer ahead of ovarian and cervical cancer. Most womb cancers occur in women who have gone through the menopause and are in their 50s but, although unusual, it can also affect younger women like Faith. A recent survey of 1,000 UK women found that two out of five didn’t know the symptoms. Faith had endometriosis and was having a routine procedure for heavy, irregular periods when she was diagnosed in 2015. “Everyone was shocked, including the gynaecologist,” she says. 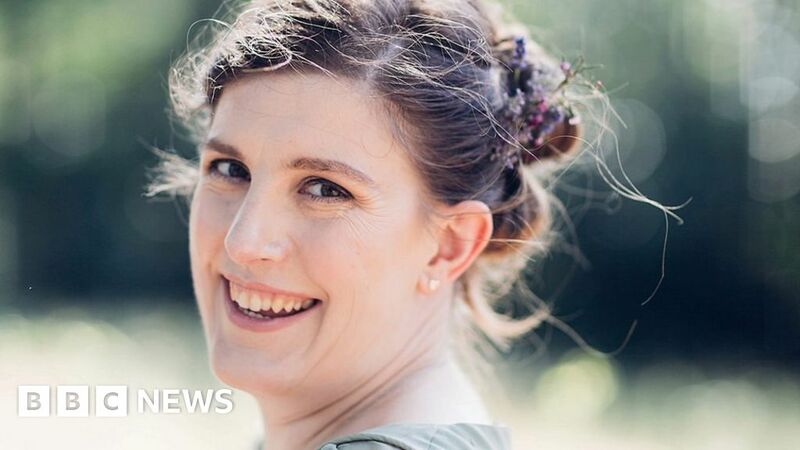 She was told the cancer was aggressive and would require a hysterectomy, chemotherapy and radiotherapy, leaving her hopes of conceiving a child dashed. Instead she had to contend with an early menopause. “All my plans for my previous life changed overnight. “The six months of treatment were the longest of my life. A supportive husband and family kept her going and psychological support from the hospital was a real boost. Sharing experiences with other cancer patients online “who understood what I was going through” made a huge difference, Faith says. But even when the gruelling treatment was finished, her problems were far from over, she admits. She has experienced depression, and nerve damage as well as bowel problems that have dogged her recovery. Life is going to be different – but Faith can at least talk about it now. “I now spend my time banging on to my friends about going to see their GP if there’s something unusual they notice. Before her experience, she says she wouldn’t have known anything about womb cancer. However, not all abnormal bleeding is womb cancer so the best advice is to visit your GP to talk about your symptoms. Athena Lamnisos, chief executive officer of the Eve Appeal, says just over a third of womb cancer cases are potentially preventable. “In simple terms, early diagnosis is vital with womb cancer. The fact is, the earlier it is picked up, the more likely it is to be treated. “Let’s work together to open up a dialogue, no matter how embarrassing it may be to talk about matters of gynaecology.